Retro pop singer Spirit Kid is leaving Boston for the land of eternal sunshine. 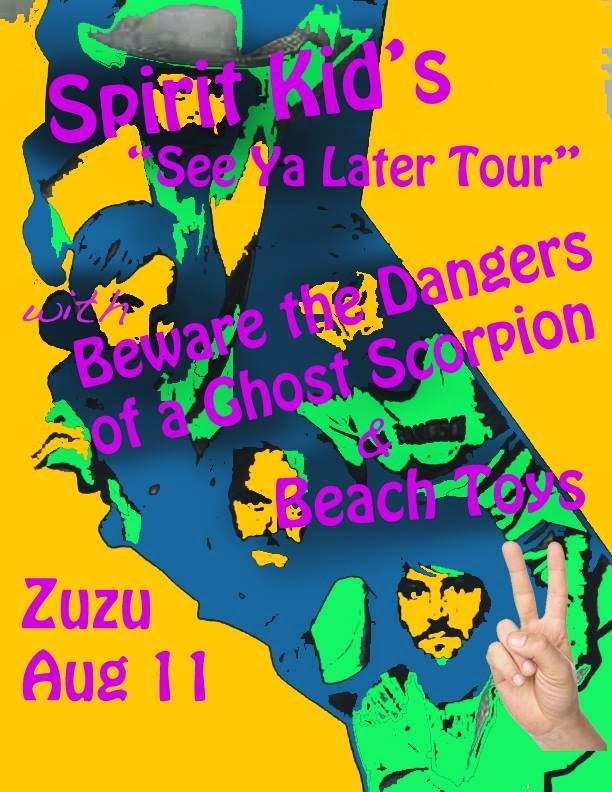 Before he peaces out to California, see Spirit Kid tonight during the 'See Ya Later Tour' with equally retro pop band Beach Toys and spooky surf rockers Beware the Dangers of a Ghost Scorpion during this edition of Rad Castle Presents at Zuzu in Central Square (21+/free/event details). A cold beer on a warm night with summer-loving music sounds pretty groovy to us. Get amped up for this evening’s show by watching Spirit Kid’s new video for “Severance”. Fun fact, we live (lived?) on the same street.